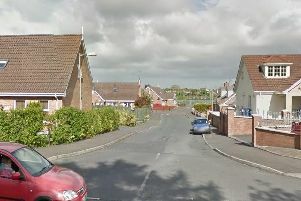 Police have just issued an appeal for information following an incident of criminal damage in Waringstown. According to police a man was seen running away after breaking a window at a house in Murraywood. They say they are treating the incident as a hate crime. Constable Steven Haire explained: “Around 6pm on Wednesday, November 26, damage was caused to the window of a house in Murraywood, Waringstown. “A male teenager was seen running away from the area with his hood up around this time. “We are treating this as a hate crime and would like to hear from anyone who has information in relation to this incident.